Historical review by fiscal year and period. Compare actual dollars to budget dollars by fiscal year and period. Display transactions for fiscal year and period. 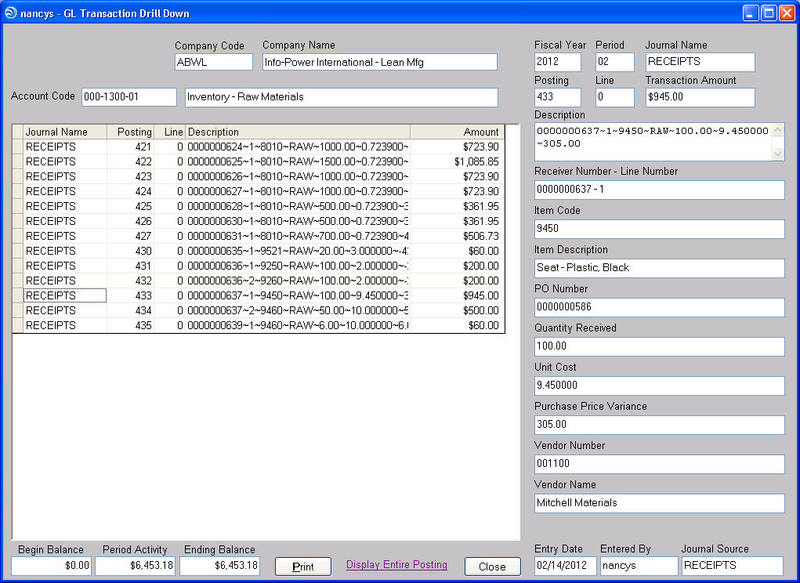 Display details of transaction including source document. Determine user and date of transaction. General Ledger Transaction Drill Down provides detailed information about each transaction that is posted to your general ledger. This greatly enhances your ability to research and resolve issues.